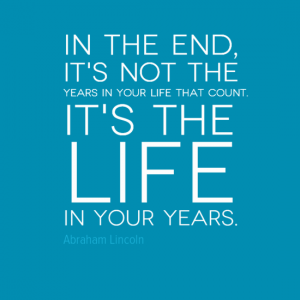 What is more important to you – the years in your life or the life in your years? Abraham Lincoln was born into a poor family in Kentucky in the USA in February 1809. He was a self-educator lawyer who went on to become the President of the USA. He became President in November 1860, however his election promoted seven southern slave states (states which permitted slavery) to form the Confederacy. This eventually lead to the American Civil War between the North (or Union) and the Confederacy. This was a bloody conflict which was eventually won by the North in 1865. As the war reached its conclusion Lincoln was assassinated whilst still serving as US President. 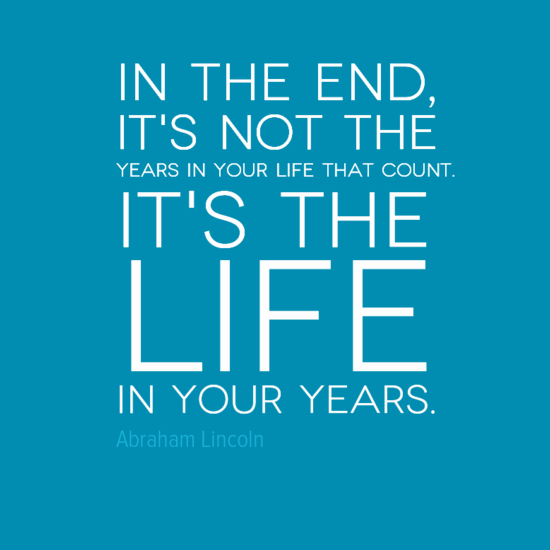 The legacy of Abraham Lincoln survives and he is often listed as one of the top Presidents in the USA. His Gettysburg Address of 1863 became an iconic statement of America’s dedication to the principles of nationalism, republicanism, equal rights, liberty, and democracy. Help – My job is depressing. Should I stay?